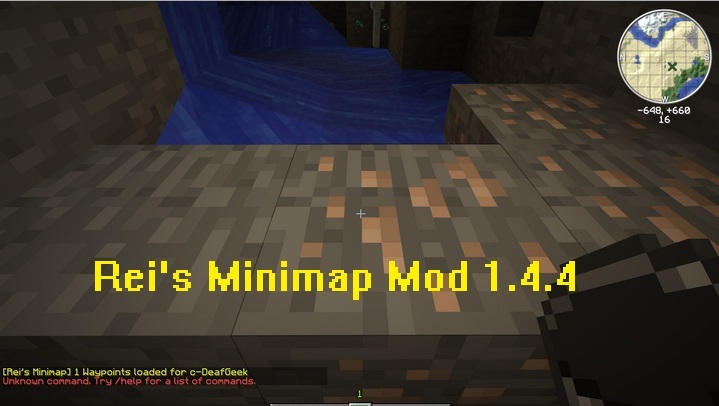 Rei’s Minimap for Minecraft 1.4.4. 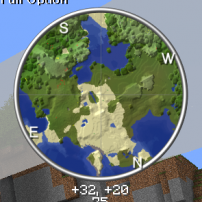 Rei’s Minimap is a modification for Minecraft which creates a minimap in corner of your screen and helps you finding path more conveniently. It provides high quality rendering and fast processing which makes in-game world more understandable. You can identify each terrain easily and lets you customize all the legends/markers. Compatibility: Windows/ Mac / Linux. – Download Rei’s Minimap zip file from link above. – Go to Start Menu > Type %appdata%/.minecraft/bin and press Enter. – Open up Minecraft.jar with WinRAR/7zip. – Drag and drop mod zip file into the jar. – Run Minecraft and Enjoy! * Make a complete backup of Minecraft before installation. * This mod supports both Single and Multiplayer. * Report bugs and errors in official thread.